Raasay & Borders Distillers – also known as R&B Distillers – is currently building the first Scotch whisky distillery on the Isle of Raasay. R&B Distillers Ltd. was co-founded in 2014 by whisky blender Alasdair Day and online dating entrepreneur Bill Dobbie. While it doesn’t currently own a distillery, it does already have a successful whisky brand in The Tweeddale Blend. Plans are in place for the company to build two new distilleries: one on the north western island of Raasay that is currently under construction, and the other in the Borders. While the Borders distillery is still very much in the pipeline, construction of Isle of Raasay distillery is underway and when fully running will employ nearly 10% of the island’s population of 120 residents, producing around 150,000 bottles per year. R&B Distillers was founded in 2014 by online dating entrepreneur Bill Dobbie and Alasdair Day, whose background was in cheese and mushroom production, rather than whisky. However Day’s family connection to Scotch dated back to 1895 when his great grandfather, Richard Day, joined Coldstream grocer J&A Davidson as an office clerk. 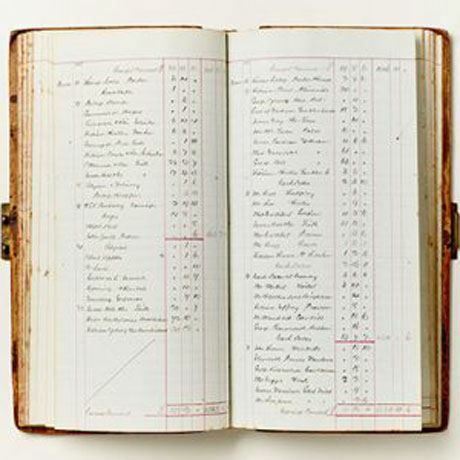 By 1923 Richard had taken over the business and was particularly involved in the blending of several styles of Scotch whisky, the recipes for which still exist in the company ‘cellar book’, or accounts book from 1899. One recipe for a particular blend – The Tweeddale – caught Alsadair’s eye and in 2009 he purchased nine casks from the same nine distilleries listed in his great grandfather’s book to recreate the recipe exactly. Stonedean Ltd. was registered as the trading company and The Tweeddale blend exported in small batches around the world. Day soon realised that to continue momentum for Tweeddale he’d need to open his own distillery, preferably in the Borders where his great grandfather had lived. Having partnered with Dobbie, the duo set about securing a site in the Borders, but it was a recommendation from an old friend that set them down the path of the Isle of Raasay. Raasay, or the ‘isle of the roe deer’ lies between the Scottish mainland and the Isle of Skye and makes up part of the Inner Hebrides. After the Battle of Culloden, the island was one of the many places Bonnie Prince Charlie found welcoming while he was evading the English army during his escape to France. R&B Distillers created a small piece of history itself when planning permission was granted in 2016 to construct the first legal distillery on the island. The company expects to draw the first spirit off in 2017. It also purchased a neighbouring derelict hotel – Borodale House – which is being converted into a visitor centre with five accommodation rooms for the Na Tusairean (The Pioneers) club members. Once Isle of Raasay is settled in, the group will continue its search for an appropriate location for its Borders site, which is most likely to be Peebles following an online poll of its followers to suggest their favoured spot. In late 2015, R&B Distillers expanded its product range by introducing two conceptual whiskies, the Raasay While We Wait single malt and Borders single grain. 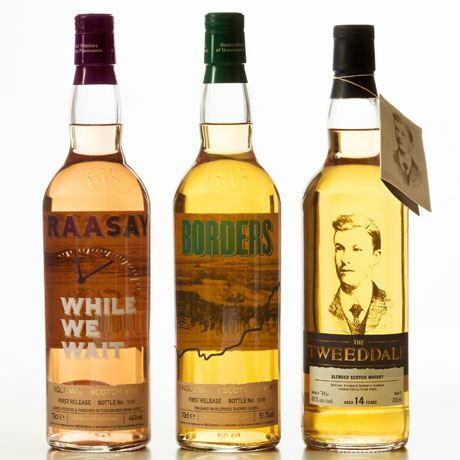 The flavour profiles of these whiskies are representative of the styles that will be released from the sites, with Raasay’s lightly peated, single malt character juxtaposed by the mellow single grain whisky that will be the signature of the Peebles distillery. Stonedean is now a wholly owned, soon-to-be dormant subsidiary of R&B Distillers and The Tweeddale part of the R&B portfolio. Distilling dynasty best known for its early adoption of the patent still at Cameronbridge. Leith-based whisky blender most famous for its Vat 69 blend. An independent distiller and blender that once operated Caol Ila and Tamdhu distilleries.